Maria Brave Heart Yellow Horse, Ph.D., Oglala Lakota, coined the term historical trauma in her article Wakiksuyapi: Carrying the Historical Trauma of the Lakota almost 20 years ago. She defined it as the result of long-term adverse occurrences. Negative experiences such as forced assimilation and removals, boarding schools and more continue to afflict the American Indian and Alaska Native community generations after the initial negative experiences. These incidents create devastating repercussions passed on to descendants, even though they never experienced the initial stressor first-hand. Research conducted on Indigenous youth indicates 10 percent of the participants met diagnostic criteria for post-traumatic stress disorder. “Think of it like this: If you grow up with a parent who frequently checks locks on doors, while you may not check locks on doors as much as that parent, you are still likely to check the locks on your doors much more than the general population,” said Citizen Potawatomi Nation Staff Psychologist Shannon Beach, Ph.D.
As a citizen of the Chickasaw Nation, Dr. Beach’s desire to serve fellow Native Americans inspired him to join CPN’s workforce November 2018. Dr. Beach explained exposure to adverse, distressing events such as forced removal and cultural loss across multiple generations can manifest in anxiety, depression and other mental illnesses. Also, past threats can foster a belief that they still exist in some aspect today, said Dolores Subia BigFoot, Ph.D., of the Caddo Nation of Oklahoma, in the article Impact of Historical Trauma published by the Indian Country Child Trauma Center at the University of Oklahoma Health Sciences Center. Dr. BigFoot’s career concentration includes training mental health providers and clinicians to support culturally adapted trauma-focused cognitive behavioral therapy, said Indian Country Child Trauma Center’s Anna Rangel Clough, licensed attorney and a member of the Muskogee Creek Nation. “There is an increased awareness but still a large field of learning opportunity to support various practitioners in the areas of understanding trauma and implementing trauma-informed principles within their practices, policies and procedures,” Clough said. One of the center’s core trainings focuses on the continued dissemination and education related to prevention, intervention and court-based youth services. In order to overcome centuries of negativity, the public must recognize historical trauma’s influence across Indian Country and the strides made to provide healing. “This understanding of the impact of historical trauma on American Indians and Alaska Natives has been critical to formulate a strategy for communities to take care of their members and better prepare for next generations,” Dr. BigFoot said. Circumstances including displacement, natural disasters, domestic violence, death of a loved one and others can also create long-term negative influences. It is especially critical “when the traumatic conditions have created changes in the cultural, community, and the family connections,” Dr. BigFoot continued. Cultural trauma attacks the society’s foundation, which affects the community’s essence, she added. Inherited traumas often manifest in inappropriate relationships and parenting skills, substance abuse, anxiety, depression, anger and more. When coupled with intergenerational poverty, these indicators can be more pronounced. Lacking access to services often results in a higher potential for experiencing distress than that of more affluent communities. American Indians have experienced employment, educational and economical disadvantages over the past several centuries, which influences family networks at higher rates than other races. The Indigenous “have encountered personal despair compounded with alcoholism or other self-destructive behaviors. Once self-reliant and self-sufficient, the American Indian and Alaska Native people were forever changed by the policies of the federal government,” Dr. BigFoot said. When people struggle for daily survival, it becomes increasingly difficult to create sustainable plans and goals, she added. “Despite these overwhelming obstacles, American Indian and Alaska Native people have endured; while continued existence has been a major struggle,” Dr. BigFoot said. Indian Country Child Trauma Center serves communities and hopes to provide helpful services that create lifelong change. 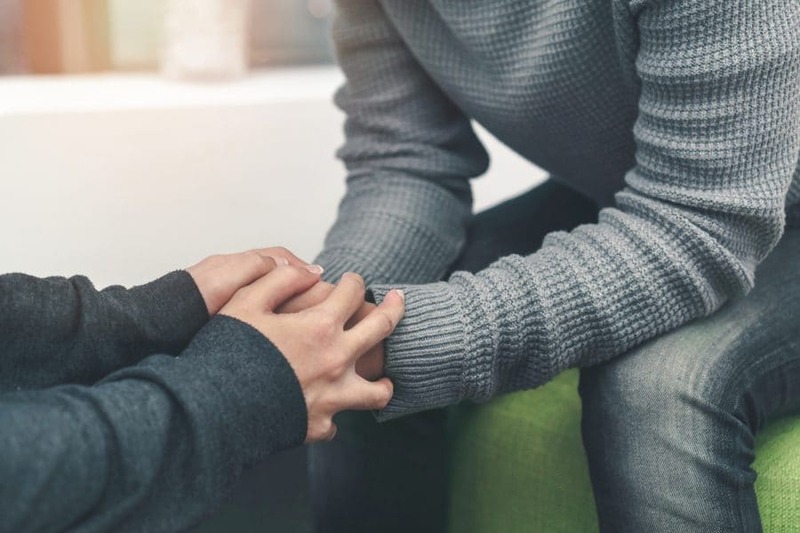 “If we fail to acknowledge issues like trauma, we may fail to provide services that are the most specifically helpful to individuals,” Clough said. The American Psychological Association recently published Standing With Our Sisters: MMIWG2S written by CPN’s Director of Behavioral Health and citizen of the Kiowa Tribe of Oklahoma Glenna Stumblingbear-Riddle, Ph.D. The article highlights various strides across Indigenous communities to raise awareness about violence against Native women, girls and two-spirit people. Dr. Stumblingbear-Riddle argued the Missing Murdered and Indigenous Women epidemic has deep psychological consequences, and researchers can trace violence against Native women back to the colonial era. Additionally, violence against women is not traditional, and many tribes were matriarchal. At the same time, the Native community cannot forget about historical, innate resilience and strengths, Dr. Stumblingbear-Riddle added. The U.S. Census Bureau estimates approximately 13 percent of Pottawatomie County, Oklahoma’s population is Native American. CPN Behavioral Health strives to serve Tribal members, Tribal employees and the community. The department works to decrease negative mental-health stigmas, provide education and lessen the likelihood of inherited traumas manifesting in future generations. “We use counseling techniques and practices that we all learned in our training programs, but do also try to use them with awareness of the impacts of historical trauma and awareness, when we can, of various cultural practices,” Beach said. CPN also combats negative mental health statistics by working with the community to reduce suicide and substance abuse. Tribal employees can join monthly Question, Persuade, and Refer (QPR) trainings to learn how to address individuals with suicidal thoughts and encourage them to seek professional assistance. While the trainings are currently only available for CPN employees, the Nation’s future plans include extending this lifesaving education to the public. Learn more about CPN Behavioral Health’s services at cpn.news/CPNBH, and stay updated on public workshops hosted by CPN Behavioral Health at potawatomi.org/events. 26 Father Joe Murphy Dr.